Posted Nov. 5, 2013, 6:07 p.m.
Posted Oct. 10, 2013, 11:48 a.m.
Crystallyn May Nguyen, an 18-year-old Asian woman, was shot and killed Tuesday, Oct. 8, in the 11700 block of South Crenshaw Boulevard in Inglewood, according to Los Angeles County coroner’s records. Police say Nguyen’s ex-boyfriend confronted her current boyfriend, Datwan Henderson, 22, in an apartment about 12:51 p.m., according to the Inglewood Police Department. The ex-boyfriend, later identified as Justin Marquis Scott, 19, is accused of brandishing a gun, entering the apartment and shooting Nguyen, Henderson and his grandmother, Dora Lee Dawson, 64. 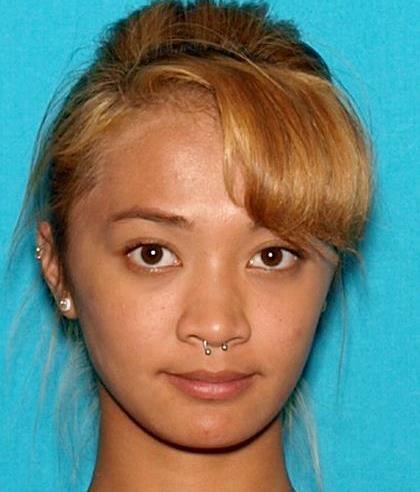 Nguyen was taken to a hospital where she was pronounced dead at 1:52 p.m., according to coroner’s records. Dawson also died in the shooting. Henderson survived. Scott has been charged with two counts of special circumstances murder and one count of attempted murder, according to the Los Angeles County district attorney’s office. Anyone with information is asked to call (310) 412-5240. Those who wish to remain anonymous can call Crime Stoppers at (800) 222-8477. Hi. Well crystal girl I met you in middle school and it seems like I’m still friends with you. I went to so many school in y life and I can still remember her voice and laugh she was very genuine very petite and so cute. The world who met you is going to miss you very much. — Jessany moore July 9, 2018 at 10:12 a.m.
Tweedy, I missssss you sooo much ,till this day i just cant believe somebody would do this to you!You were always such a loving ,fun and caring person !We were so close like sisters but then when I moved away we stopped talking ...and I really wished we didn't now it just feels like a piece of me is missing ,you were one of my closest friends that I had ,that was there for me when my grandma passed away and ever since then I haven't had not one friend since you've gone away :(it's just not the same and will never be ...Rip baybeegurl may we meet again ..I love you tweedy..
— Bestfriend♡ Feb. 17, 2017 at 6:52 p.m.
— Devon July 23, 2016 at 12:52 a.m.
Why do you call it The Homicide Report? Why not the Death by Gunshot report? I can't find any report other than that. A law abiding citizen is one who just bought a gun but didn't use it yet. I don't mean "gun" I mean handgun! They are bought to commit suicide by self, cop, or the rest of your life in jail. Or let your kid shoot someone. — daniel Feb. 16, 2015 at 11:27 a.m.
OMG baby i cannot believe this happened to you !!!!!!!!!!!!!! ASIA I GIVE U MY DEEPEST CONDOLENCES.. YOUR IN MY PRAYERS BabyGirl! — you know who this is Aug. 15, 2014 at 2:54 p.m.
— concerned July 23, 2014 at 12:14 p.m.
— Megan April 7, 2014 at 8:47 p.m. Date of crime, the nature of the crime, victim(s) name, location of crime, name of the shooter. You do not have to identify yourself With this information of the murders with Inglewood and surrounding towns we can cleanup this dreadful place up. Just take some time and leave your neighborhood and visit a pay phone to give a call with the information. — G E Diego Feb. 19, 2014 at 11:49 a.m.
— lilant18st Dec. 3, 2013 at 10:28 a.m.
— shamikia Oct. 27, 2013 at 10:45 a.m.
— LiL dAYE Oct. 22, 2013 at 12:49 p.m.